This guidance is provided for Marines who, in their personal capacity, desire to make unofficial posts online, regarding Marine Corps-related topics. 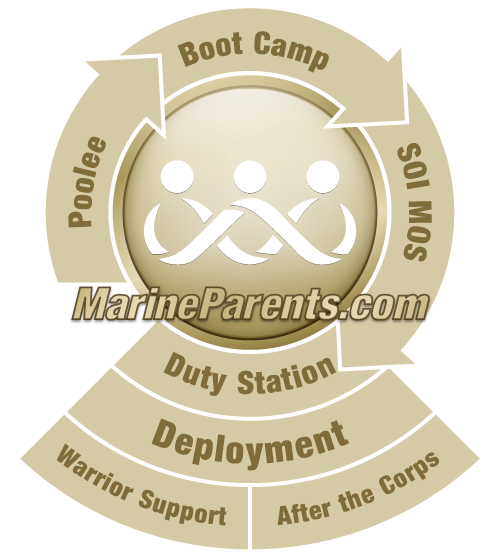 (The term "Marines" on this guidance refers to active-duty and reserve Marines and sailors). Unofficial Internet posts are not initiated by any part of the Marine Corps or reviewed within any official Marine Corps approval process. By contrast, official Internet posts involve content released in an official capacity by public affairs Marines, Marine Corps Community Services marketing directors, or commanders designated as releasing authorities. Policy for Family Readiness Officers will be provided in separate guidance. In accordance with these guidelines, Marines are encouraged to responsibly engage in unofficial Internet posts about the Marine Corps and Marine Corps-related topics. The Marine Corps performs a valuable service around the world every day and Marines are often in the best position to share the Marine Corps' story with the domestic and foreign publics. Marines are personally responsible for all content they publish on social networking sites, blogs, or other websites. In addition to ensuring Marine Corps content is accurate and appropriate, Marines also must be thoughtful about the non-Marine related content they post, since the lines between a Marine's personal and professional life often blur in the online space. Marines must be acutely aware that they lose control over content they post on the Internet and that many social media sites have policies that give these sites ownership of all content and information posted or stored on those systems. Thus Marines should use their best judgment at all times and keep in mind how the content of their posts will reflect upon themselves, their unit, and the Marine Corps. As with other forms of communication, Marines are responsible for adhering to Federal law, Marine Corps regulations and governing policies when making unofficial Internet posts. Marines must abide by certain restrictions and policy to ensure good order and discipline. Federal law, regulations and policies that directly impact a Marine's conduct mandate personal standards of conduct, operational security, information assurance, release of personally identifiable information, ethics regulations, and the release of information to the public. A Marine who violates Federal law, regulations or policies through inappropriate personal online activity is subject to disciplinary action under the Uniform Code of Military Justice (UCMJ). See the references listed below for more details. Marines who communicate online about the Marine Corps in unofficial Internet posts may identify themselves as Marines, to include their rank, military component (e.g., Captain Smith, USMC), and status (active or reserve) if desired. However, if Marines decide not to identify themselves as Marines, they should not disguise, impersonate or otherwise misrepresent their identity or affiliation with the Marine Corps. When expressing personal opinions, Marines should make clear that they are speaking for themselves and not on behalf of the Marine Corps. Use a disclaimer such as: "the postings on this site are my own and don't represent Marine Corps' positions or opinions." As with other forms of personal public engagement, Marines should avoid offensive and inappropriate behavior that could bring discredit upon themselves and the Marine Corps. This behavior includes posting any defamatory, libelous, obscene, abusive, threatening, racially or ethnically hateful, or otherwise offensive or illegal information or material. Marines shall not post classified, controlled unclassified information (CUI), or sensitive information (for example, tactics, troop movements, force size, weapon system details, etc). When in doubt, Marines should contact the unit operations officer, security officer, intelligence officer, or public affairs officer for guidance. Marines should be extremely judicious when disclosing personal details on the Internet, and should not release personal identifiable information (PII) that could be used to distinguish their individual identity or that of another Marine. Examples of PII include a Marine's social security number, home address, birthday, birth place, driver's license number, etc. Marines must be aware that criminals use the Internet to gain information for unscrupulous activities such as identity theft. By piecing together information provided on different websites, criminals can use information to, among other things, impersonate Marines and steal passwords. In addition, Marines should utilize privacy settings on social networking sites so posted personal information and photos can be viewed only by designated people. Remember, what happens online, is available to everyone, everywhere. There is no immediate assumption of privacy once users begin to interact with others online. Marines should not post information that would infringe upon the privacy, proprietary, or personal rights of others. Marines should not use any words, logos or other marks that would infringe upon the trademark, service mark, certification mark, or other intellectual property rights of the owners of such marks without the permission of such owners. Marines may use the eagle, globe and anchor; coat of arms (ega in the center, encircled with words "United States - Marine Corps"); and other symbols in unofficial posts so long as the symbols are used in a manner that does not bring discredit upon the Corps, does not result in personal financial gain, or does not give the impression of official or implied endorsement. Marines should contact HQMC Division of Public Affairs Trademark and Licensing office for further clarification or contact their local legal office for an ethics determination prior to engaging in Internet activity that could violate the standards of conduct. Marines who violate the Marine Corps' symbols (ega and/or coat of arms) are potentially subject to legal proceedings. The posting or disclosure of internal Marine Corps documents or information that the Marine Corps has not officially released to the public is prohibited. This policy applies no matter how a Marine comes into possession of a document. Examples include, but are not limited to, memos, e-mails, meeting notes, message traffic, white papers, public affairs guidance, pre-decisional materials, investigatory information, and proprietary information. Marines are also prohibited from releasing Marine Corps e-mail addresses, telephone numbers, or fax numbers not already authorized for public release. Marines should only discuss Marine Corps issues related to their professional expertise, personal experiences, or personal knowledge. Marines are encouraged to professionally and respectfully correct errors and misrepresentations made, by others, about the Marine Corps. Marines must remember however, to respond and act with their minds and not their emotions when posting content. Marines should refer to the chain of command or public affairs for guidance if uncertain about the need for or appropriateness of a response. Marines must adhere to policy in Department of Defense Directive 1344.10 when posting political content. Marines also should take care not to express or imply Marine Corps endorsement of any opinions, products or causes other than those already officially endorsed by the Marine Corps. Marines should be cautious and guard against cyber criminals and attackers by following sound security procedures (Questions regarding security issues can be directed to HQMC C4 Information Assurance personnel). When using the Internet and social media, Marines should not click links or open attachments unless the source can be trusted. Oftentimes, cyber criminals pretend to be people they are not in order to deceive Marines into performing actions that launch cyber attacks, download viruses, and install malware and spyware onto computers. Marines should always use strong passwords (10-digit passwords comprised of lower- and upper-case letters, numbers, and symbols) to protect their online / social media accounts from getting hacked. Marines also should frequently change their passwords. Marines should be thoughtful about who they allow to access their social media profiles and personal information (e.g., who Marines allow to be their "friend" on Facebook and thus allow access to their personal information). Marines should also recognize that social network "friends" and "followers" may potentially constitute relationships that could affect determinations in background investigations and periodic reinvestigations associated with security clearances. Marines must be careful about which online applications they use, since such applications often have access to a user's personal information (e.g., third-party applications on Facebook). Marines should learn about and use the privacy settings on social media sites. Marines should review their accounts daily for possible use or changes by unauthorized users. Marines should install and maintain current anti-virus and anti-spyware software on their personal computers. To reduce the likelihood of email spam bot action, the "@" symbol in the e-mail addresses below is represented instead by the word "AT". To email the points of contact below, use the @ symbol instead when pasting the address into your email client. Information taken from the Official Marine Corps Website on April 8, 2016.